Today, we added some rhyming slang to the walls at Cultivate Evolved. 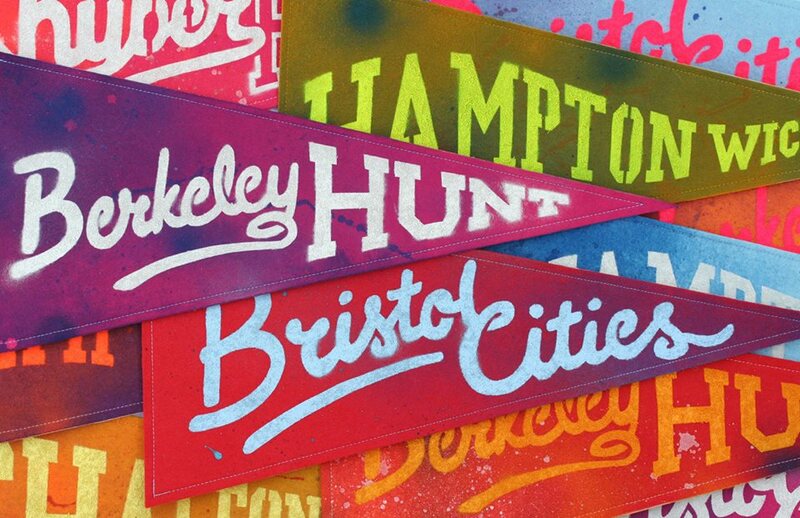 Pennants, felt penants, the work of the QUIET BRITISH ACCENT team. The Pennants will be up on the wall for the next two weeks, meanwhile, our current guests LEWIS BANNISTER (aka Copymenot) and JACK FLORISH have their work up on the wall for another week. Here’s an album of work from the three parties, click on the images to enlarge them…. ← THIS MONTH AT CULTIVATE EVOLVED – Do we actually need galleries? What are we doing this month? Walking it or just talking it? Does it matter?